Sardar Patel wrote to Golwalkar to join Congress, but Nehru stood firm as he had when Patel favoured merging Syama Prasad Mookerjee-led Hindu Mahasabha. With no reply forthcoming for six weeks, Golwalkar wrote to them yet again on 24 September. In his missive, he had pleaded with both the prime minister and deputy prime minister that the ban on the RSS be lifted, and offered assistance in countering the threat of Communism in the country. Both the men replied back, and although Vallabhbhai Patel in his letter dated 11 September 1948 acknowledged the work done by the RSS in protecting the women and children who had arrived as refugees from across the border after Partition, he also sent out a strong message that the objectionable part arose when they, burning with revenge, began attacking Mussalmans. Organising the Hindus and helping them is one thing but going in for revenge for its sufferings on innocent and helpless men, women and children is quite another thing. In the same letter, Patel had touched upon a sensitive issue and said that he was ‘convinced that the RSS men can carry on their patriotic endeavour only by joining the Congress and not by keeping separate (identity) or by opposing.’ Opening the doors for swayamsevaks barely a few days after Gandhi’s assassination and without prior discussion with members of the Congress, was not appreciated within certain sections of the party, including the prime minister. In a way, Patel’s letter to Golwalkar had brought into sharp focus the divergent views held by two Congress stalwarts with regard to the RSS. One wonders if it was the beauty of democracy and therefore the respect accorded to a stalwart of a leader like Patel, but in October 1948, Madhav Sadashiv Golwalkar was allowed to travel to Delhi to discuss the lifting of the ban. He first met Patel, after Nehru had declined to meet him as the prime minister had felt that it would not ‘serve any useful purpose.’ Unfortunately, Golwalkar’s meetings (he had had two by now) with Patel too came to naught and the RSS remained on the proscribed list. Patel also asked his office to issue instructions to Golwalkar to ‘make immediate arrangements to return to Nagpur,’ as restrictions on his travel which had been kept in abeyance, were now re-imposed. I tried my utmost to see that between the Congress and the Rashtriya Swayamsevak Sangh…there be no bad blood, there be only everlasting mutual love, one supplementing and complementing the other, both meeting in a sacred confluence. I extended my hand of cooperation. With utmost regrets I have to say that you have chosen to ignore my best intentions. My heart’s desire to see the converging of both the streams has remained unfulfilled. However, his impassioned plea proved to be futile and after his subsequent requests to meet Patel were turned down, Golwalkar decided to defy the order, and stayed put in Delhi. There was a midnight knock on the door of a RSS functionary for the second time that year, the difference being that this time around, the posse of police had landed up at Delhi’s RSS chief and industrialist, Lala Hansraj Gupta’s bungalow on Barakhamba Road. Golwalkar was spared the ignominy of an arrest, but was put on the earliest flight to Nagpur. 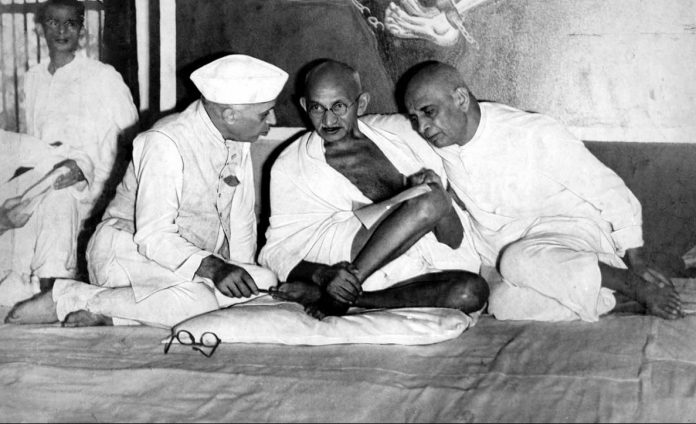 It was obvious that the door had been slammed shut on the RSS at Nehru’s insistence. Patel’s proposal of merging the RSS with the Congress was not only rejected by the prime minister, but also by the sarsanghchalak, who wanted the RSS to henceforth dedicate itself towards establishing Hindu hegemony in the country. He was also doubtful about Patel exerting his influence over the prime minister, and after virtually being hounded out of Delhi, Golwalkar had little option but to revive the spirit of his cadre. He began by writing an open letter to the swayamsevaks contending that the ban was ‘an insult to the honour of the citizens of free Bharat,’ and suggested that shakhas be made operational despite the governmental order. In many ways, the letter was symbolic of Golwalkar’s assertiveness in independent India, and the stage was readied for a head-on confrontation with the government. It was rather ironical that in December 1948, eleven months after Gandhi’s assassination, the RSS launched its first mass agitation using the Mahatma’s principles of non-violence and non-cooperation, demanding the lifting of the ban. 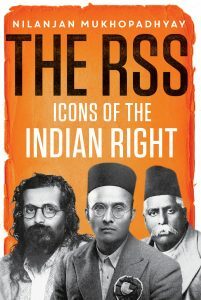 This excerpt from Nilanjan Mukhopadhyay’s The RSS: Icons of the Indian Right has been published with permission from Westland.